So shocking, it really made me personally sad. This was brought to my notice by a friend. Seeing this new plan, reducing the formal plan by 50% to each data package. I Guess by this Glo might lose more customers because many prefer browsing with Glo due to their cheat data plan. 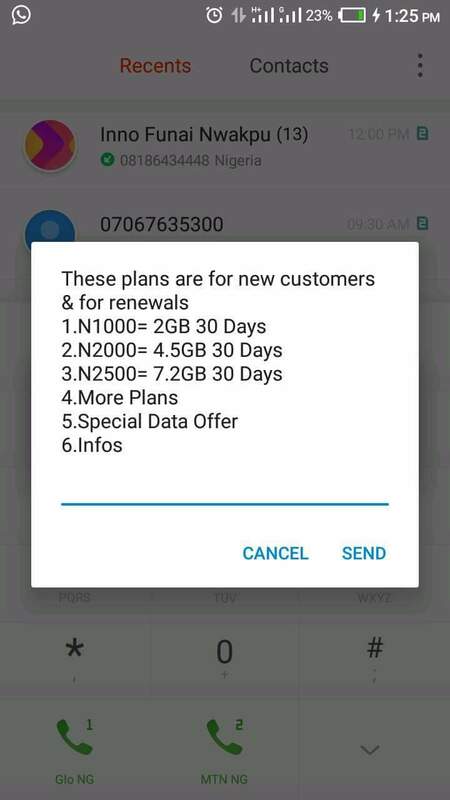 Below are list of new Glo data plan. Note that this plan is effective now to all subscribers. I just pray God touches their heart to increase it back. This new plan is Effective to both New and old subscribers, even though you are renewing you data plan.